The New York Knicks continue their descent and dropped their seventh consecutive game after falling to Sixers 108-92 last night. The game was controlled by the home team even though New York stood close behind their opponents, not allowing them to lead by double digits. Until the fourth quarter. The Sixers started the last act on a 8-0 run which carried them all the way. Dario Saric led them with 24 points, JJ Redick added 18 and Joel Embiid dropped 17 points. However, this was TJ McConnell’s night. Coming off the bench, the Pittsburgh native posted a triple double with 10 points, 10 rebounds and 11 assists. New York, on the other hand, had a horrible shot selection. They were under 40% from the field and shot just 25% from long distance. Their opponents shot over 50% at both chapters. Tim Hardaway Jr, who ended up with just 9 points went O for nothing from behind the arc. The french-speaking backcourt were less efficient than they were a night before. Frank Ntilikina went scoreless while Emmanuel Mudiay scored 7 points. Both of them were outplayed by McConnell. 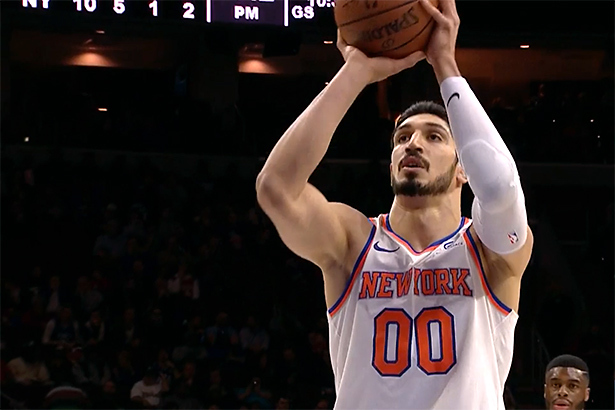 Michael Beasley led the Knicks with 22 buckets, Enes Kanter was in double double with 17 points and 13 rebounds and Courtney Lee, who came off the bench, scored 18. The Knicks have one more game to play before the All Star break, and they will host the Wizards on Wednesday evening.